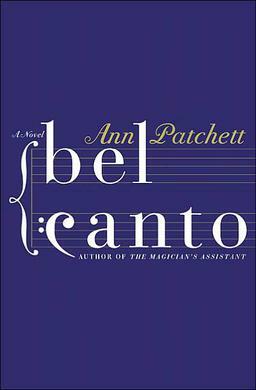 I wanted to share a little tidbit I learned about Ann Patchett’s Bel Canto in my post-read-research-frenzy. (Do you also read you can get your hands on about a book after you’ve finished reading it?) If you don’t want to know anything more about the plot, please skip the rest of this post – I won’t be offended! Sometimes it’s nice to go into a book not knowing anything that happens. But knowing the plot also won’t necessarily spoil the book for you, because the writing is so divine. I briefly mentioned the plot of the book in one of the previous posts, but to expand a little more: this book takes place at the home of the Vice President of an unnamed South American country. The country is hosting a birthday party for an important Japanese company’s CEO in hopes of enticing him to build factories in their country, when the mansion is stormed by rebels and everyone is taken hostage, both the important international guests and the caterers and staff. Interestingly, the plot was loosely inspired by a real event which occurred between 1996-1997 in Lima, Peru. This is often referred to as the Japanese embassy hostage crisis or the Lima Crisis. On December 17, 1996, the Japanese ambassador of Peru threw a birthday party in celebration of Emperor Akihito’s 63rd birthday. The party took place in the ambassador’s private home and was stormed by 14 members of the Tupac Amaru Revolutionary Movement (MRTA). There were hundreds of people at the party, and while most of them were freed shortly after the takeover, the remaining guests were held hostage for 126 days, which is a little over four months! A note about the ambassador’s home: the Japanese government outfitted the home to be like a fortress, ideal for keeping people out, which may be a little ironic in this situation. The house was surrounded by a 12 foot high wall, had bomb-proof doors, bullet-proof windows, and grates covering almost all the windows. This definitely isn’t the luxurious mansion I was imagining in Ann Patchett’s novel – although it is still palatial.